Salads are a light yet sumptuous way to beat the summer heat. Whether at parties, picnics, luncheons, dinners or brunches, a well-crafted salad will have everybody going for a second healthy helping! Salads are a nutritious choice for the variety of vegetables that contain disease-fighting nutrients. Eating salads also helps you increase your fibre intake, which translates to lower cholesterol and less constipation. According to a new study by UCLA/Louisiana State University, the consumption of raw salads results in increased intake of folic acid, vitamins C and E, lycopene and alpha and beta carotene. Avoid using fatty dressings like ranch dressing. Despite their labels declaring that they are low-calorie, such dressings are usually high in salt, sugar or other fattening substitutes. Opt for "light" dressings - Italian or Oriental dressings are often your best bet. On The Oprah Winfrey Show, Dr. Oz recently talked about salad dressings, and advised using oil and vinegar instead of the creamy choices one finds in stores. His diet plan also includes tomatoes, which pack a significant amount of vitamin C and can help slow the ageing process. For oils, he suggests olive, flaxseed, sesame seed and canola, which are good oils because they are high in unsaturated fats. They also help prevent acne and pimples. According to Chef Paul Rankin, "The trick to jazzing up a salad is using quality ingredients for your dressing - things like hazelnut oil, sherry vinegar and olive oil as well as parmesan, seeds and nuts." 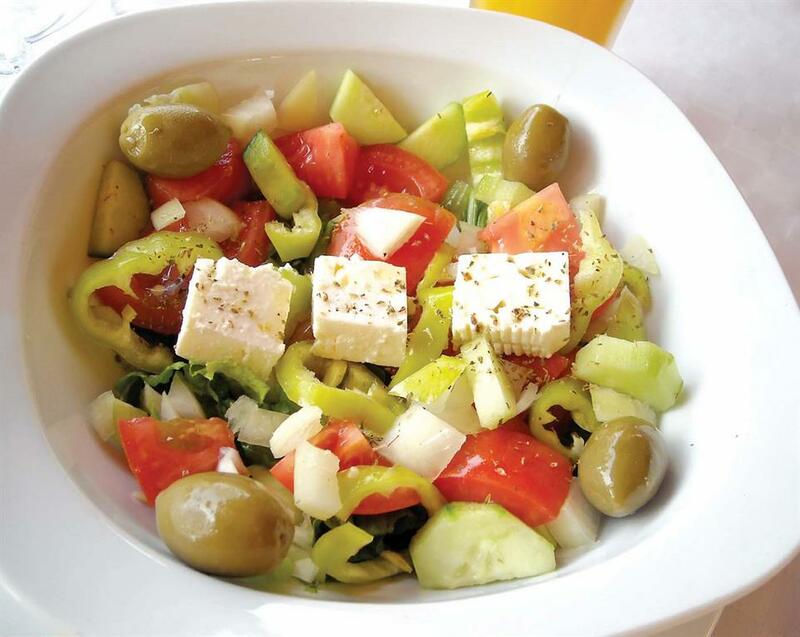 With the variety of salads available today like Greek salads, Caesar salads, garden salads, fruit salads and more, keeping it healthy is definitely something to keep in mind. Use a variety of colourful vegetables that make for a tempting salad toss. Mushrooms, bell peppers, carrot shavings, cucumbers, kidney beans, tomatoes, olives and other greens like lettuce and cabbage are good choices. Use cheese and nuts sparingly to avoid excessive fat intake. Try spinach-based salads. Spinach is one of the richest sources of beta carotene. The human body converts beta carotene into vitamin A in the intestines and liver. Spinach is also a moderate source of vitamins like vitamin C, E and a larger source of vitamin K.
Non-vegetarians can experiment with meats such as sliced ham, salami, chicken, fish and even shrimp. Hard boiled eggs are a favourite, too. Fruit salads are a delicious and low-calorie choice for many occasions. They can be served as a healthy breakfast, an appetizer or dessert.